Hotstar, India’s leading video streaming platform, has been named in the Most Entertaining Apps of 2017 by Google Play, the largest global app store for Android mobile devices. Hotstar is India’s largest premium streaming platform with more than 100,000 hours of drama and movies in 9 languages, and coverage of every major global sporting event. Google Play’s Best of 2017 is the annual round-up of the best performing consumer applications across categories such as entertainment, productivity, gaming, fitness among others. Being the largest app ecosystem in the world, with over 3 million available apps, each category is hotly contested with products from the world’s best technology developers. Since its launch, Hotstar, the first Indian app to cross 100 million downloads on the Google Play Store, has racked up multiple industry accolades such as Apple TV’s App of the Year and has been featured on every list of India’s most downloaded apps. 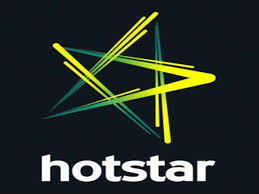 Impressively balancing the twin challenges of supporting traffic from millions of daily users, while still pushing the platform towards a world-class user experience, Hotstar has placed special emphasis on creating a personalized viewing experience, so as to help users smartly navigate through hundreds of thousands of hours of content.